I don't know if you've noticed this yet, but things are changing around us, and we don't like change. The force of human inertia is the most powerful force in our lives. If you are a baseball fan, you may have noticed that this winter's free agency didn't work like it used to. For years, a player could play great baseball during their first professional contract and get paid well for it. The industry made it a pattern that the second contract is where the big money came from. If a player was better than average, he could count on a contract that would pay him what he had already done, not necessarily what he would do. This year, baseball teams were more interested in paying players based on what their statistical analyzes would be their probable future production. It was no longer a promise that if you did in your first contract, the second would be great. I could go to the statistical revolution that has come in baseball, but I think you get it. It's no different in insurance. We are seeing monumental change and it's no longer out there on the horizon. It's right in front of us. We're walking in the middle of it. On the other hand, if you think the biggest changes are here, you're mistaken. They are still so far that we can see them all, they are coming so quickly that you have to watch or they'll be here before you see them. The insuretech space is still figuring out the insurance market. 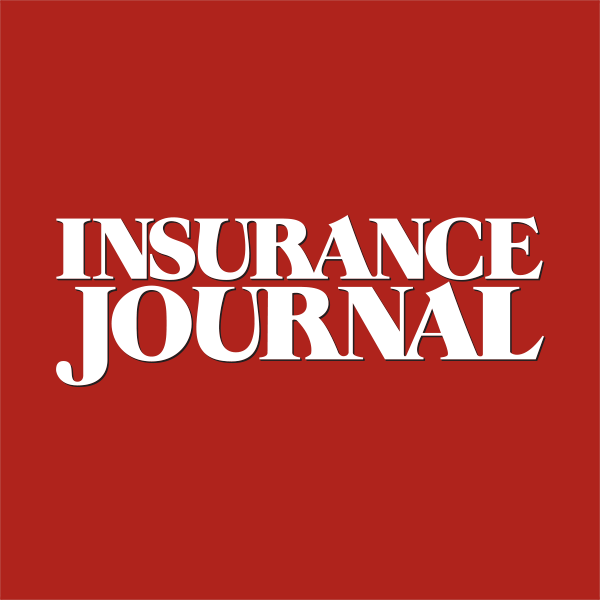 They are still working on what insurance will look like moving into the 2020s and beyond. Many of us want to look like it did when we started. We want insurance to be the same as it was in the 70's, 80's, or 90's. If you have some of us alone with a detector, you will find out that we have still filing cabinets full of client files; Rolodexes full of our contacts; and all meetings are face-to-face. We want to go back to a time when the world came to us for their insurance needs because our friends at the banks or in the governments made them come in. That's when we would try and change them into higher limits and additional policies. When I was a kid, insurance companies sponsored TV shows, like Mutual or Omaha's Wild Kingdom. The only other advertising that I remember from insurance companies was when the local state farm agent bought the big inside back cover on the Yellow Pages. Over the last 40 years, insurance companies have hired advertising experts and they discovered that people did not necessarily need to hear about their insurance in order to buy, they only needed something memorable from your advertising so that when they went to buy , something would click. So, we got cavemen, we got a gecko, we got a professor, we got mayhem, and we got a lady in a white outfit and apron, with a blue name across the front. Then while we weren't looking , the insuretech space took up that tactic and decided that your customers needed something that was easy to use, didn't require a visit to an office, and if it wasn't expensive, that worked, too. The rest that they needed was to make sure that your customers felt like they were doing a better job trying to make the world a better place, and convincing them that you and your company were all about taking money and not giving back, even though You're probably their kids' coach, too. So, we got lemonade. Lemonade promised to be everything that they said was insurance. It was supposed to be about building a better world together. It was supposed to be about making everything fast and easy. They blogged about how much money they gave away and how super easy buying insurance and filing claims was with them. They announced that they were on the right side of issues like gun control, even though they made no substantial changes to their policies. Then they came out with what they called Policy 2.0. That's when they gave the community a chance to try and write an insurance policy. Turns out that no one really wants to write their policy. They just want to cover their "stuff" (Lemonade's word for personal property, sometimes). Then we found out the Berkshire Hathaway, one of those companies that we respect, was working on three. Let’s be honest. We felt betrayed by that. I mean, they are one of us. They're part of the Old Guard and they want to write a three page policy? Here's the part you're really not going to like. Lemonade and Three and their like are just the beginning. What we see today is a lot like a stable beta test. That's what the IT team tells us is a site that generally works, but might still break down. Companies are experimenting to see what works. Whether Policy 2.0 ever comes to market or not or becomes not viable. They will represent the current experimental step. There will be more steps. As each company watches the others, they will experiment, tweak, adjust and try more things. Eventually, what we know about insurance will be flipped on its ear and unless we come along, we'll be left with our office space, no customers coming in the doors, and a Rolodex full of names and numbers of customers, contacts, and networks that we used to have. It took a minute to get here, but what we need to learn is that things are NEVER going back to where they were. We cannot sit in our offices and cry about how it used to be. We must come along. No. We need to accept the things that are just crazy. Do I really think that Policy 2.0 or Three will take over the market? No. I think that as products, they'll fail. I also believe that others will learn from them and create something that might not fail. We have to accept that the change is happening all around us. We need to get in on some of the change. We need to have a digital experience for our customers. We need a way for people to reach us on their time, not ours. That means that they need to be able to read the details of a claim that you can get to check writing. That means that they need to be able to submit to a text, or mobile experience that runs through the process (easily).